There's a huge interest among bank depositors in the government's three-year retail treasury bonds that pay an annual coupon rate of 4.25 percent, well above the prevailing savings and time deposit rates, according to bank managers. That interest is also reflected in Entrepreneur Philippines' online readers' comments and questions after we ran a story announcing the offering last week. Related story: Lend at Least Php5,000 to the Government For 3 Years and Earn 4.25% p.a. In response to readers' questions about where and how exactly to buy the bond, we're providing the following information based on statements and releases issued by the Bureau of Treasury (BTr). If you're keen to buy the bond, you must act quickly as the offering lasts only until Thursday, April 6, 2017. According to the BTr, the first step is to inquire with your bank if they are offering the RTBs. The BTr has designated 17 qualified selling agents to offer the RTBs. A peso deposit account with at least one of the qualified selling agents is required to purchase the bonds. It is best to call your branch if there are still RTBs available for sale. Some banks require interested buyers to make a reservation and to get in touch again after a few days to check how much bonds they can buy. The minimum purchase amount is Php5,000 and additional amounts can be purchased in increments of Php5,000. Once your reservation is approved, you must sign some formal documents and forms in your branch. Please take note that all documents must be notarized. Payment for the bond is rather easy as the purchased amount will be automatically deducted from your account once the RTBs are issued, which is slated on April 11. Quarterly interest will also be automatically credited to your account in the next three years. When the bond matures in April 2020, the principal amount will also be automatically credited to your bank account. The BTr has developed an online calculator to give you an idea of how much you'll be earning from your investment. According to the calculator, a purchase of Php5,000 worth of RTBs will net you Php170 a year. That figure already excludes the 20-percent final withholding tax on interest income. The online calculator also shows that a Php5,000 placed in a time deposit account will just earn you Php40 a year, net of the final withholding tax. Some readers asked if the RTB's yield would allow investors to cope with consumer price inflation. The answer depends on what the likely inflation rate will be. 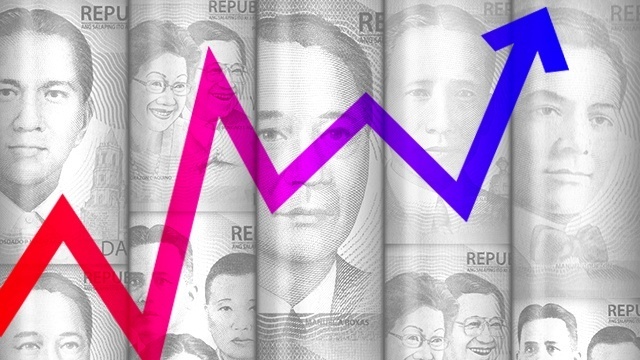 Last year, it averaged 1.8 percent, according to Bangko Sentral ng Pilipinas data. On the other hand, the Department of Budget and Management is assuming in its budget documents that the average inflation rate will range from two percent to four percent between 2017 and 2019. These show that RTB's yield will still be above projected inflation rates in the next three years so long as these do not rise above four percent.